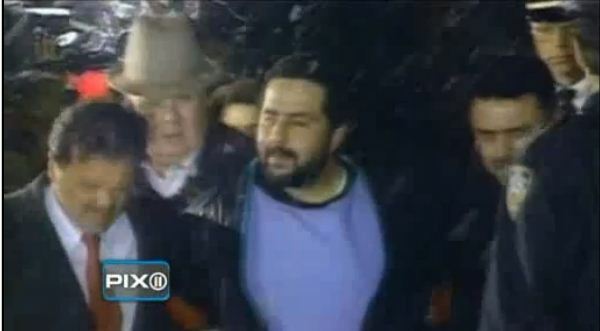 LEBANESE TAXI DRIVER FINALLY ADMITS TO 1994 MURDER OF JEWISH BOY AND WOUNDING FELLOW STUDENTS IN NYC BECAUSE THEY WERE JEWS…….. – The Tundra Tabloids……. LEBANESE TAXI DRIVER FINALLY ADMITS TO 1994 MURDER OF JEWISH BOY AND WOUNDING FELLOW STUDENTS IN NYC BECAUSE THEY WERE JEWS…….. NOTE: An early act of Islamic terrorism in NYC, one year after the bombing of the WTC towers. Rashid Baz was also at a mosque before he struck, and is believed to not have acted alone. The still-grieving mother of a 16-year old Orthodox Jewish boy, who was killed when his student van was shot up on the Brooklyn Bridge in March 1994, reacted Monday to the public revelation that a Lebanese-born cab driver targeted the students solely because they were Jewish. The New York Post reported Monday that Rashid Baz, convicted in 1995, finally told investigators in 2007 that he stalked the van, because it was carrying young, Orthodox Jews who had prayed for their grand rebbe outside a Manhattan hospital. Baz ultimately admitted the shooting, where he used a machine gun and Glock to fire off 40 rounds on the van, was retaliation for an attack three days earlier in 1994, when a Jewish settler from Brooklyn massacred 29 Arabs inside a mosque in Hebron. Next Post Next Post HEAD EGYPTIAN OF MUSTARD BROTHERHOOD SAYS MEDIA GIVING ISLAMIC SUPREMACISTS A BAD RAP…….